Burger King buys Tim Hortons: Is it really not trying to dodge taxes? 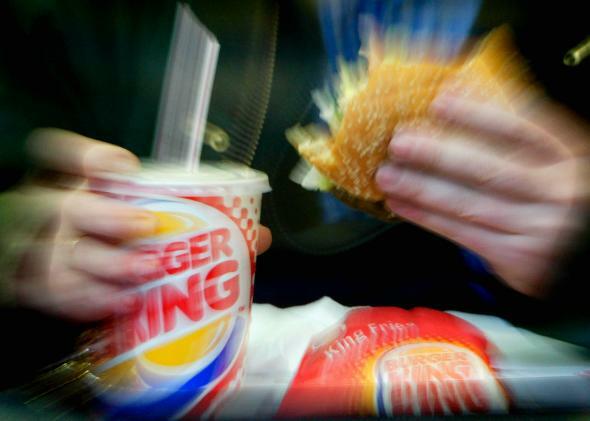 Burger King Says It’s Not Trying to Dodge Taxes by Moving to Canada. Is It Telling the Truth? The tax benefits of moving to Canada are far less fuzzy than this photo. Burger King swears it’s not moving to Canada for the taxes. The fast food chain is officially set to purchase Tim Hortons, the Canadian purveyor of coffee and doughnuts, for a cool $11.4 bllion, financing the buy with the help of Warren Buffett’s Berkshire Hathaway. In doing so, Burger King will set up the combined company’s official headquarters in Canada, meaning that for tax purposes, the King will no longer be a U.S. citizen. These sorts of tax-inversion deals have had Washington politicians, including President Obama, in a tizzy for months. Populist-minded Democrats are railing against the merger—Ohio Sen. Sherrod Brown says Americans should eat Wendy’s and White Castle instead—while Republicans say it’s further proof our corporate tax code is driving businesses away. But while Burger King will relocate north of the border, raising concerns about yet another company moving abroad to reduce its tax bill, the switch in corporate nationality appears more aimed at appeasing Canadian regulators wary of a foreign company buying a national icon like Tim Hortons. In fact, Burger King is expected to save only a little, if any, on taxes through the so-called corporate inversion. The two companies emphasized that each will continue to be run from their current home bases, with Tim Hortons operated out of Oakville, Ontario and Burger King from Miami. Neither is altering their franchisee agreements or business models. Burger King’s corporate line is only half convincing. Under Canadian law, federal regulators do essentially have the power to block foreign takeovers of domestic companies that they decide aren’t “in the national interest”—and “national interest” is a pretty mushy term. Sometimes national security gets invoked, as when the country stamped out an Egyptian billionaire’s attempt to buy a Canadian telecom. Sometimes the rationale is more economic. When the Australian mining company BHP Billiton tried to acquire Potash Corp. of Saskatchewan, a fertilizer maker, the government said no in part because Canadians were worried about handing control of an important local industry to a giant multinational. Could a Tim Hortons deal have run into similar resistance if Burger King hadn’t adopted Canadian citizenship? It seems like a silly thought—Burger King surely isn’t going to start shutting down Timmy’s branches in Toronto and Ottawa just for spite. Moreover, Tim Hortons was owned by U.S.-based Wendy’s for around a decade without any obvious ill effects on Canada’s national doughnut reserve. That said, people get worked up about local fast food chains, and it’s not impossible to imagine political pressure building against the deal out of national pride. But the idea that Burger King won’t really get any tax advantages out of relocating to Canada, where the corporate rate is about 15 percent compared with 35 percent in the U.S., seems transparently untrue. Yes, it will continue paying American corporate rates on its U.S. profits, just like any other foreign company. But Canadian citizenship will likely give it more opportunities to use various accounting and business tricks to shift profits north of the border and out of the reach of the IRS (multinationals with foreign subsidiaries excel at that sort of thing). Inverting will also leave Burger King more flexibility to move its international profits freely. As conservatives and business groups regularly complain, the U.S. is unusual in that it taxes profits that domestic companies earn abroad. That’s why companies like Apple keep great troves of cash sitting overseas. In moving to Canada, at least in name, Burger King eliminates that problem, which may be especially important since its growth plans are focused on the international markets. In the end, the argument that Burger King is just trying to appease some touchy Canadian regulators seems a bit thin. Taxes are almost certainly part of the equation. Keep that in mind if you feel the need to re-evaluate your Whopper habit.